When I read this book it really took my heart and soul back to the Carolinas. I would recommend this book to any given person. It touches a lot of emotions and the book ends leaving a little smile on your face and a warm touch to your heart. That every description said about the towns in North Carolina made me reminence of Lancaster South Carolina. A home I'll always go back to. This book had a boy named Patrick Truman and he got attacked as a hate crime because he was gay. His friend spent weeks trying to solve what happened to him but everyone would just mess the story up. After a week or so stuff started getting worse and someone came forth with help and the person who did the crime will surpirse you. It is a really good book. 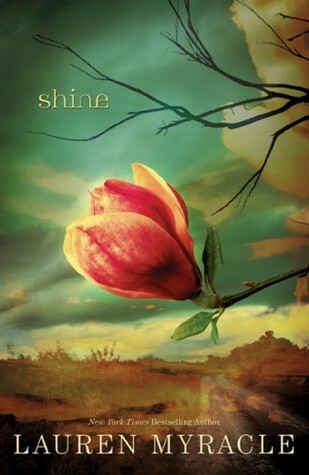 Shine by Lauren Myracle is a rare book as it engulfs you the moment you set your eyes on it. The realistic mystery it entails grips your heart. I would recommend this book, although, I would make sure you don't have any plans as you won't be able to tear yourself away. One thing I add though is that is very unrefined and shouldn't be given to pre-teens and younger.